It's a new year, and that means a whole new year of #WednesdayYA! If you don't know what #WednesdayYA, Misty of The Book Rat and I realized that when we looked at our lists of books we own but haven't read, we have a lot in common. Now, each month of the year, we pick one book and read it together. We wrapped up 2014 with a liveshow on Misty's channel. So if you've read this book or want to join the chat, we'll be discussing it on January 28th at 8:30 p.m. EST. Since you guys seemed to like the Liveshow format, we'll be doing a Liveshow on my YouTube channel--you can find the link in the sidebar. Happy January and happy reading! 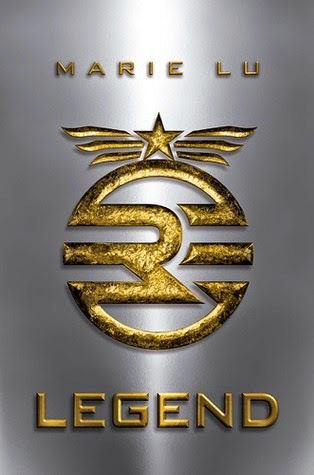 We can't wait to discuss Legend with you later this month.